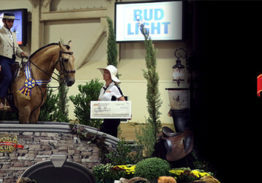 Marin Barros entered into the horse world at 5 years old and has competed in many disciplines for the last 17 years. 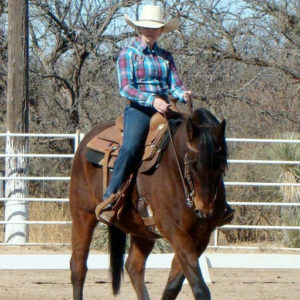 Her initial start was in the highly competitive world of Hunter/Jumpers, Western Pleasure, Trail, and Reining through her local POA club. 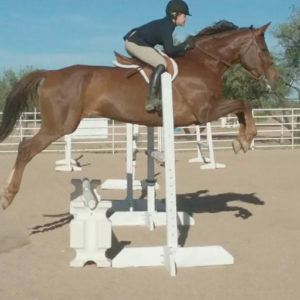 Ms. Barros showed successfully at A rated and B rated pony classes in the Hunter/Jumper divisions learning a high standard of Equitation, equine care, and show prep that she carries forward with all equine activities. To bolster her classical English education Ms. Barros studied dressage for two years, participated in a Young Breeder’s Club through the Hanoverian society, and competed up through second level. 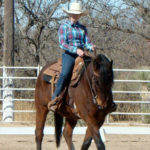 To continue her well rounded education Ms. Barros purchased and started her own horse under saddle and later competed successfully in ranch sorting, while continuing to pick up horses to ride in varied disciplines. 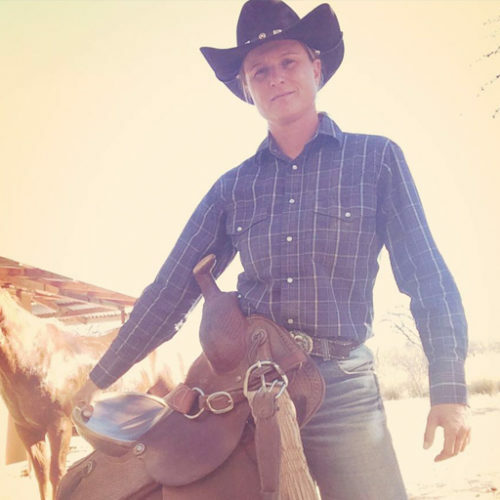 Since moving to Tucson to pursue her Bachelor of Science in Animal Sciences at the University of Arizona, Marin began apprenticing with J6 Ranch Equestrian Center as part of her internship, studying rider bio-mechanics and continuing her development as a horseman, instructor, and trainer. Recognized early in the apprenticeship program as a kind, firm, and knowledgeable teacher and skilled horsewoman and trainer Ms. Barros was an easy choice to add to the J6 team upon completion of her level one apprenticeship. 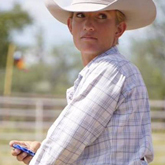 With her schedule filling quickly, Marin is available to take on clients for colt starting, show preparation, tune ups, show jockey, as well as riding and ground work lessons including reining and over fences.